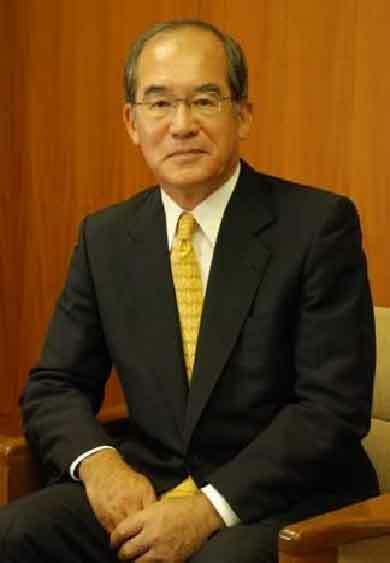 New York, NY, June 15: As more and more international travelers reconfirm Japan’s recovery on tourism, Mr. Tadatoshi Mamiya, the president of Japan National Tourism Organization, released below message to update JNTO’s tourism recovery activities. On behalf of the Japanese people, I would like to express our most sincere gratitude towards the material and emotional support that we received from all over the world following the Great East Japan Earthquake on March 11, 2011. On behalf of the Japanese travel industry, I would especially like to say thank you to all the assistance provided by the tourism industry partners from all over the globe. Since the earthquake in March, our country has come together, working rapidly in the affected areas towards a quick recovery. With the strenuous efforts of various personnel, we have made good progress towards the reconstruction of our transportation infrastructure. Sendai Airport, which was struck by the earthquake, was reopened on April 13, and the entire bullet train system in Tohoku region, a.k.a. Tohoku Shinkansen, was restored on April 29. Additionally, Tokyo Disneyland reopened on April 28, and many other tourist attractions and facilities are back to the same level of service and attractions as the pre-quake time. In addition, many top officials from various tourism partners around the world have visited Japan’s famous tourist sites and encouraged us. We have also exchanged honest opinions and received positive suggestions from multiple national government officials at various events, such as the Japan-China-Korea Trilateral Tourism Minister’s Meeting in Kangwon-do, South Korea and at the Japan-U.S. Tourism Export Expansion Conference in San Francisco. We are greatly encouraged by this support, and we believe that our solidarity for diligent work towards the recovery is the only way to to respond to these supports. In response to this support from our friends all over the world, Japan has developed the following strategies and projects, some of which are being implemented immediately: Along with providing accurate information on conditions in Japan just as before, we are hosting tourism industry people from overseas markets and media partners for observation tours to showcase the progress that Japan has made and the sufficient safety level in Japan. We are hosting an unprecedented number of guests from different parts of the world between late May and July. We believe that vigorous promotion of vibrant and appealing side of Japan will not only impress people from overseas, but will also become a support source for the people and societies in the disaster-affected areas. The next step will involve promoting Japan tour offerings so that travelers will know about them. Outside of the affected areas, local people are living their usual lives, and the beauty of these tourist destinations remains unchanged. Food is also inspected and controlled by strict guidelines for appropriate level of food safety. Recent travelers to Japan have been satisfied with their experience, feeling that they are glad that they visited Japan at this time, and they are certain that they would like to come again. Japan is a country with four distinctive seasons, blessed with beautiful nature, world heritage sites, rich culture and respected traditions. At the same time, these all co-exist together with modern high-tech attractions and pop culture. We encourage you to visit our country, and we look forward to welcoming you with omotenashi, our traditional spirit of hospitality.